Restored 1979 Honda XL250 Motorcycle. The engine top end was rebuilt with new valve stem oil seals. The front suspension was rebuilt. 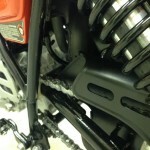 The rear shocks were rebuilt with powder coated springs. A new ignition switch was fitted. New paint and graphics were applied. The front wheel was rebuilt with heavy duty stainless spokes. 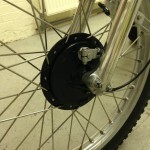 The rear wheel was rebuilt with heavy duty stainless spokes. 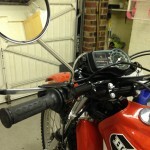 New indicators were sourced and fitted. A really nice restored Honda XL250S Motorcycle. 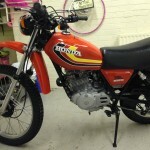 Honda XL250 – 1979 For Sale or Wanted? 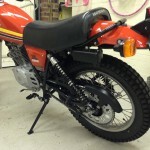 If you're looking for the perfect Honda XL250 – 1979 for sale then take a look at the hundreds of restored classic motorcycles listed on our extensive Motorcycles For Sale pages. 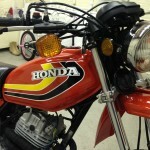 We regularly feature very nice restored Honda XL250 – 1979 bikes for sale. 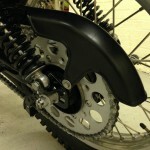 Spares and Parts for your Honda XL250 – 1979? 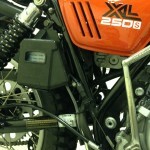 Workshop Manual for your Honda XL250 – 1979?